If its not too much trouble, please also send the proof/receipt of transfer along with your name for our book-keeping purposes. You can send it to info@komunitastaufan.org, or WhatsApp at +62-812-8273-4932 (Bu Yanie / Mama Taufan). 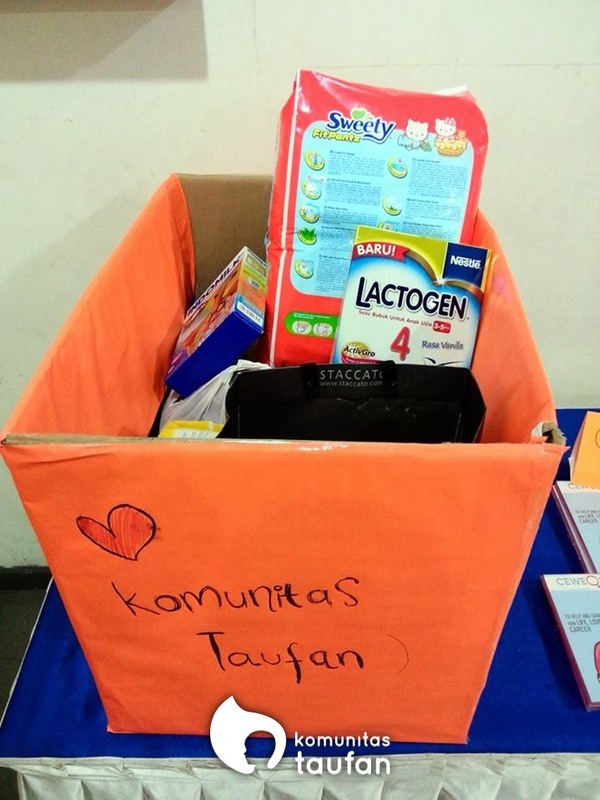 Diapers, milk, underpads, wet tissue, toiletries, socks, toys, dolls, DVD player, stroller and wheel chairs are several types of basic necessities that really helps patients and their families in going through the treatment period, especially during hospitalization. Aside from the above basic necessities, families of patients also often need cash for buying food, paying room rented near the hospital, transportation cost and even school tuition fees for the patient’s siblings as well as small capital for the parent to start a micro business that can be managed while caring for their ill child. If you wish to give directly to patients, we regularly visit them in the hospital, in their temporary accomodation, or in their homes. Please contact us about the type of donation, amount and when you are planning to give them in person.